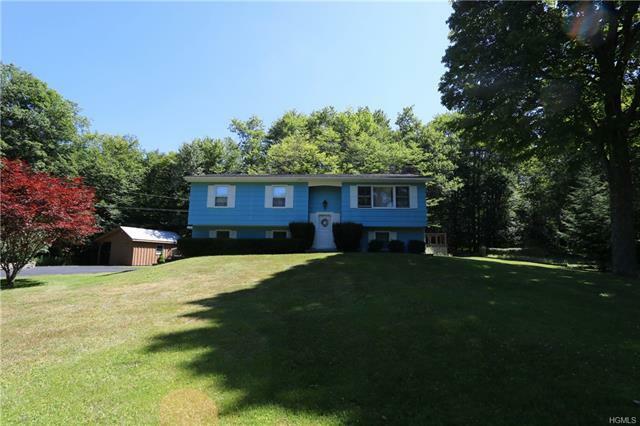 Stick built home less than five minutes from the village of Livingston Manor. Just under 2 acres this land is well maintained with a nice front yard. Rear porch to relax and take in nature. Three bedrooms on the main floor, hardwood floors under carpeting. Two car garage and a finished basement with fireplace leading to a brick chimney. Located on DeBruce road with several public fishing access points and state parks. Black top driveway, outbuilding, this property is bordered by a stream running along Tuttle Hill Road. Increase the amount of land with this property with additional vacant land available that borders backside of property MLS #4217521 & 4217522 could be added to #4217521 vacant lot for additional lot size.